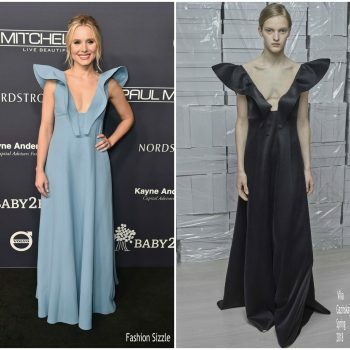 Kristen Bell was in attendance at the 2017 Baby2Baby Gala on Saturday (November 11) in LA. 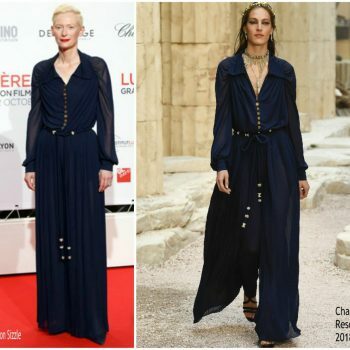 She wore a baby blue Vika Gazinskaya Spring 2018 design. 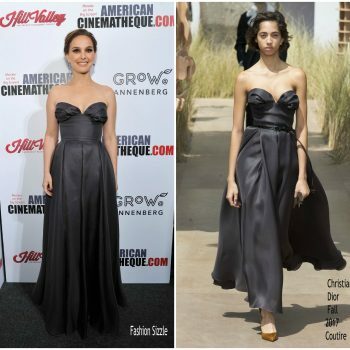 Natalie Portman attended the 31st American Cinematheque Awards Gala She is wearing a black Christian Dior Fall 2017 Haute Couture design. 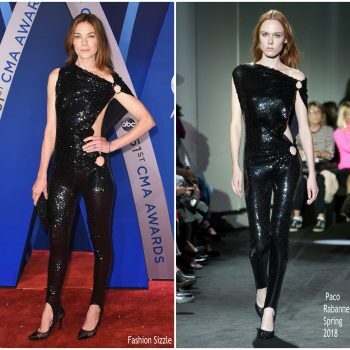 Maren Morris was in attendance at the 2017 CMA Awards on Wednesday (November 8) in Nashville, Tennessee. 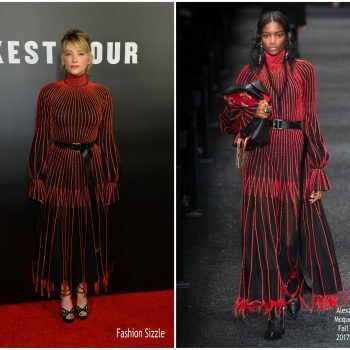 She wore a Francesco Scognamiglio Spring 2018 dress. 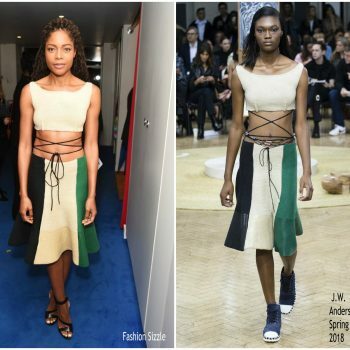 Naomie Harris attended British Vogue’s December issue dinner party on Tuesday (November 7) in London to celebrate Edward Enninful’s first cover. She wore a J.W. 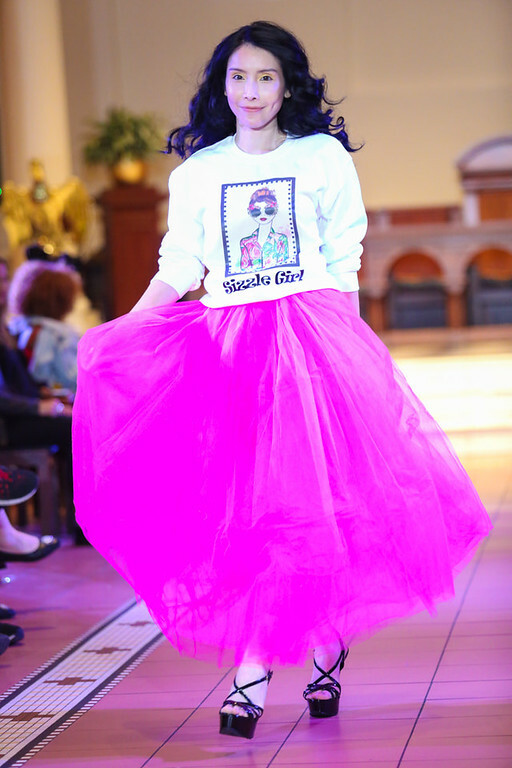 Anderson Spring 2018 design. 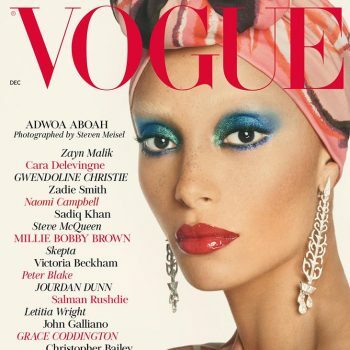 Adwoa Aboah attended the the celebration for Edward Enninful’s first cover for British Vogue on Tuesday (November 7) in London, which featured Adwoa Aboah on the cover. 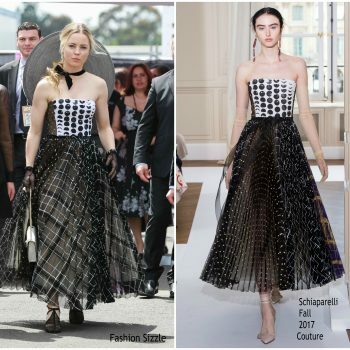 She wore head-to-toe Simone Rocha Spring 2018 dress. 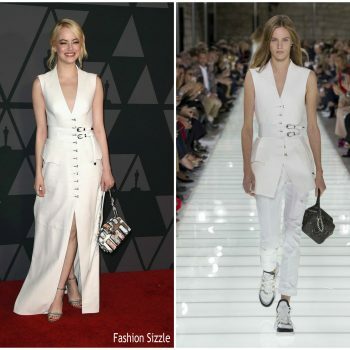 Riley Keough was in attendance at the Tiffany & Co. Home & Accessories opening party on Wednesday, (November 8) in New York City. 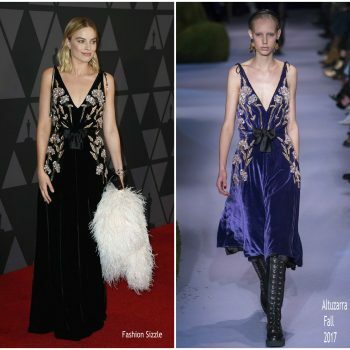 She wore Giamba Fall 2017 dress. 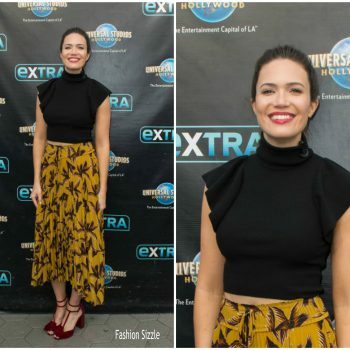 Mandy Moore was in attendance at the SAG-AFTRA Foundation Patron of the Artists Awards on Thursday (November 9) in Beverly Hills, California. 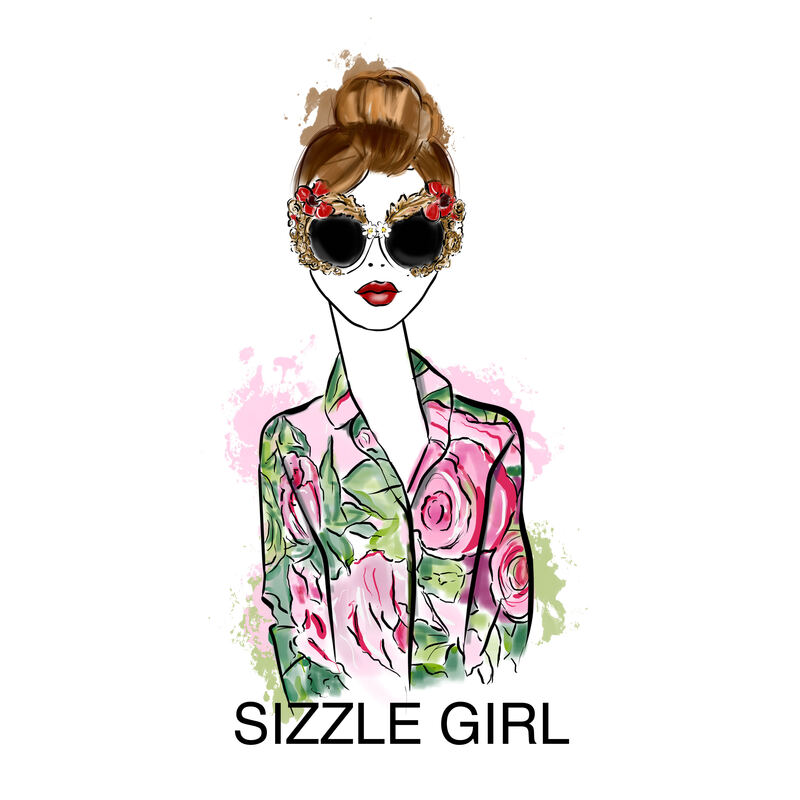 She is wearing a red floral print Johanna Ortiz Resort 2018 dress. 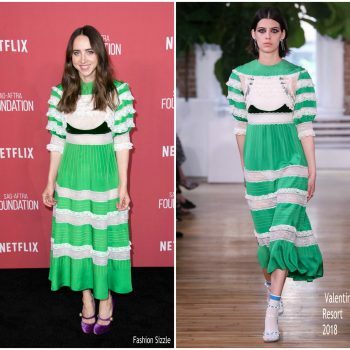 Zoe Kazan was in attendance at the SAG-AFTRA Foundation Patron of the Artists Awards on Thursday (November 9) in Beverly Hills, California. 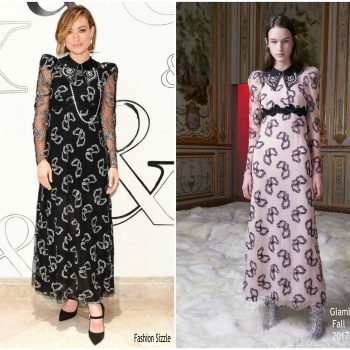 She wore a Valentino Resort 2018 dress. 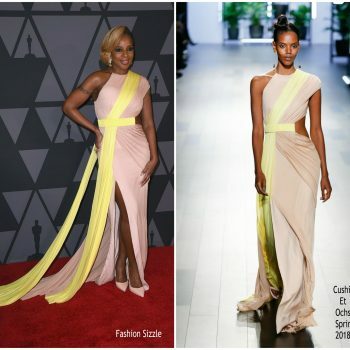 Mary J. Blige was in attendance at ‘Mudbound Opening Night Gala of AFI FEST 2017 on Thursday (November 9) in Hollywood, California. 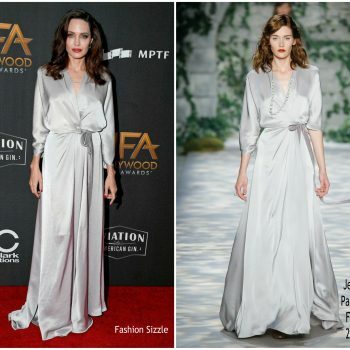 She wore a grey Rami Al Ali Fall 2016 Couture gown. 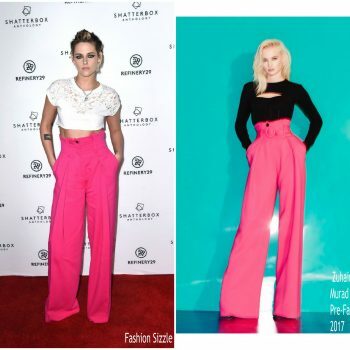 Kristen Stewart attended the premiere of ‘Come Swim’ held at The Landmark on Thursday (November 9) in Los Angeles, California. 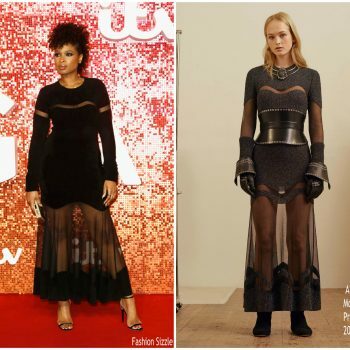 She wore a Zuhair Murad’s Pre-Fall 2017 design. 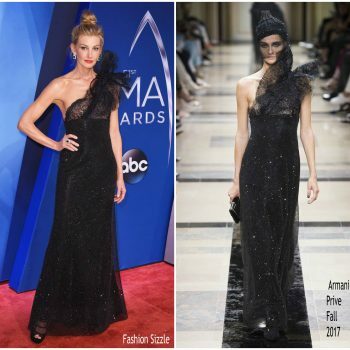 Miranda Lambert was in attendance at the 2017 CMA Awards at the Bridgestone Arena on Wednesday (November 8) in Nashville, Tennessee. 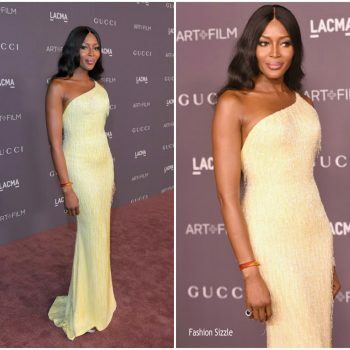 She wore a Tony Ward Fall 2017 gown. 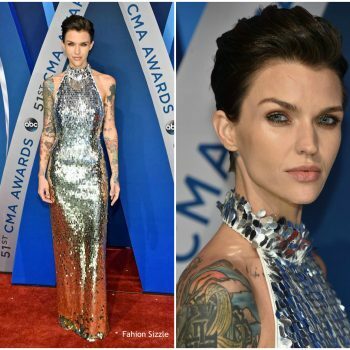 Ruby Rose was in attendance at the 2017 CMA Awards on Wednesday (November 8) in Nashville, Tennessee She wore a halter silver sequin August Getty Atelier Spring 2018 dress . Pink brought her daughter Willow Hart on red carpet for the 2017 CMA Awards at the Bridgestone Arena on Wednesday (November 8) in Nashville, Tennessee. 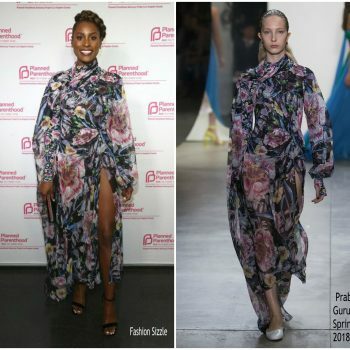 Pink wore a Monsoori Fall 2017 gown? 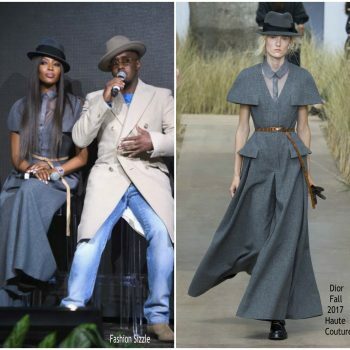 Chloe Grace Moretz attended the Forevermark NYC event on Tuesday (November 7) in New York City. 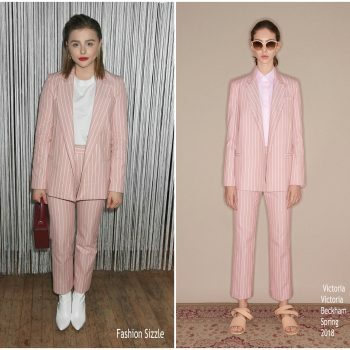 She is wearing Victoria Victoria Beckham Spring 2018 suit. Alessandra Ambrosio was in attendance at the ‘Daddy’s Home 2’ LA premiere on Sunday (November 5). 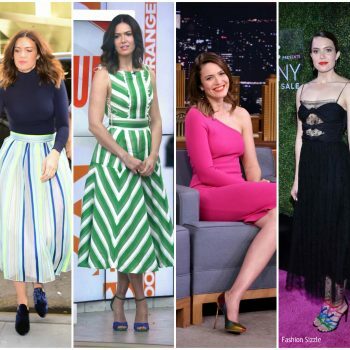 She wore a Carolina Herrera Resort 2018 gown. 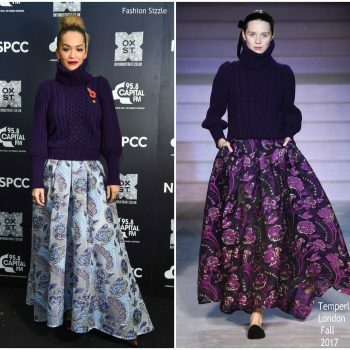 Rita Ora was in attendance to switch on the Oxford Street Christmas lights in London on On Tuesday (November 7) She wore a Temperley London Fall 2017 design. 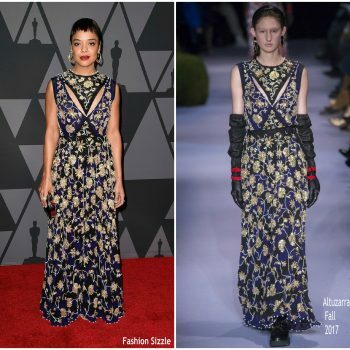 Gina Rodriguez made an appearance at Build Series on Monday (November 6) in New York City to discuss her new animated film ‘The Star.’ She wore Christine Alcalay Spring 2018 dress styled with Swarovski jewelry. 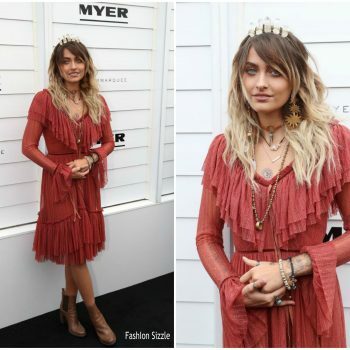 Paris Jackson was in attendance at the Emirates Melbourne Cup Day on Tuesday (November 7) in Melbourne, Australia. 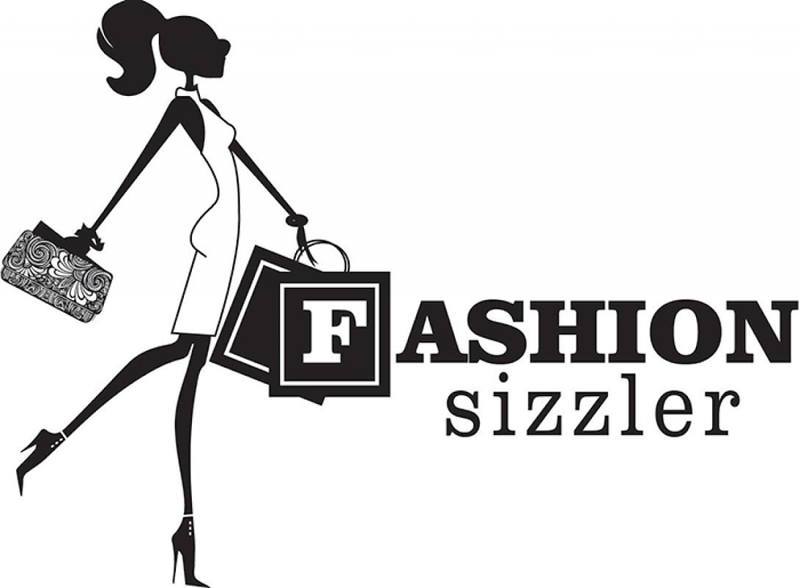 She wore a Morrison dress. ‘ Kate Bosworth stopped by the SiriusXM studios on Monday (November 6) in New York City to promote ‘The Long Road Home,’. 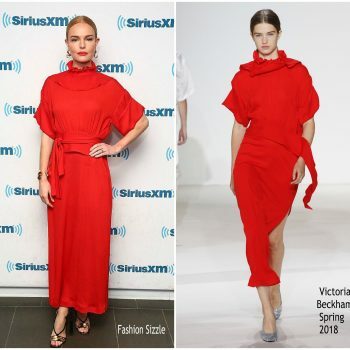 She wore a red Victoria Beckham Spring 2018 dress. Nicki Minaj attended the 2017 CFDA/Vogue Fashion Fund Awards on Monday (November 6) in the Brooklyn, New York as the guest of Alexander Wang. 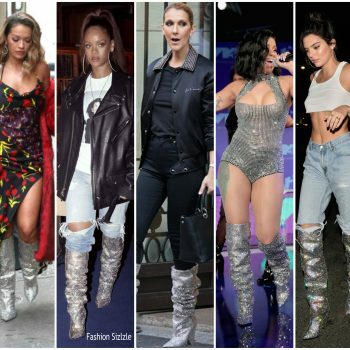 She is wearing a black Alexander Wang design. 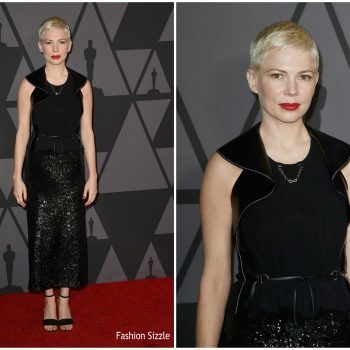 Margot Robbie attended the 2017 Hollywood Film Awards on Sunday (November 5) in Beverly Hills, California. 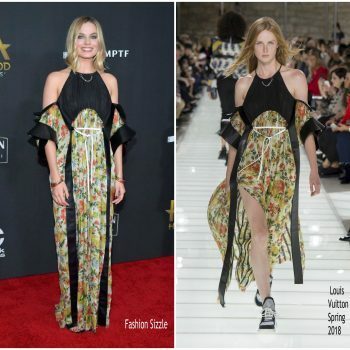 She wore a Louis Vuitton Spring 2018 gown. 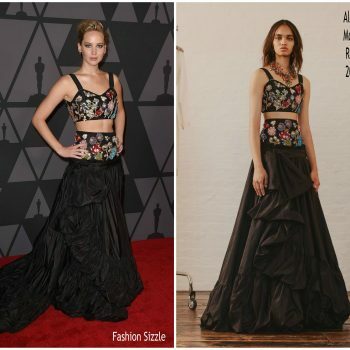 Shailene Woodley attended the 2017 Hollywood Film Awards on Sunday (November 5) in Beverly Hills, California, She is wearing a Balmain Spring 2018 design. 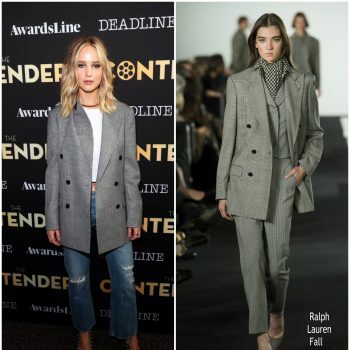 Margot Robbie attended the Deadline’s The Contenders event on Saturday (November 4) in LA. 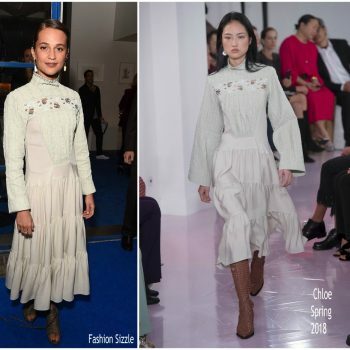 She wore a Christian Dior Spring 2018 dress. She is wearing a red Calvin Klein suit. 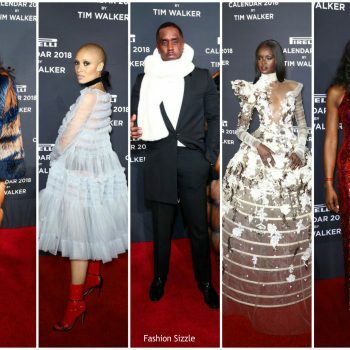 Cardi B was in attendance at the Tidal x Brooklyn Charity Concert on Tuesday (October 17) in Brooklyn, New York. 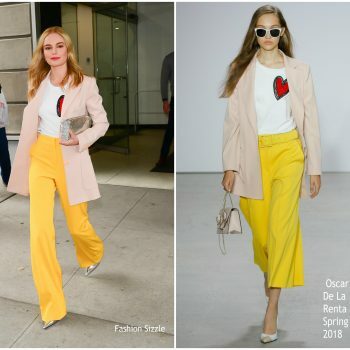 She wore a s Victoria Hayes Spring 2018 outfit.